Fix Salon Client Stephanie before and after her Ultimate Salon Blowout service. The number one requested specialty service this time of year is our Ultimate Blowout. This is a salon treatment that reduces frizz, gives added control, and lasts for up to 13 shampoos. That’s right, thirteen shampoos. How much time did you spend smoothing your hair out this week? If you had to stop and count then this is the service for you.This treatments shouldn’t be confused with Japanese straightening, which is permanent, or Keratin treatments which have questionable health effects. The Ultimate Blowout treatment is an entirely unique service that is simply a brilliant way to give more life to your favorite salon blowout. So how does it work? For typical salon guests, we book one and a half hours of service time. First your hair is shampooed with a cleansing wash, then the smoothing activator is applied throughout your hair. The activator is left on for 15 – 30 minutes, depending on the amount of smoothing desired. At the end of the processing time, your hair is thoroughly rinsed and then the sealer is applied. Finally, your hair is dried in your preferred style: smooth, round brushed or ironed curled. This final step seals the shape with heat activation from the blow dryer and heat tools. The end result will not eliminate your natural texture, but will make blowing out easier than ever before. The texture of hair fibers (straight, curly, or wavy) is determined by the shape of the protein bonds that create it. In permanent texture services, like perms and Japanese straighteners, these bonds are broken down and restructured in a new shape to give the desired end result. This process is pretty aggressive and potentially damaging. Our Ultimate Blow out service is temporary. It gently relaxes the bonds, elongating them, and encouraging a smoother form. Over time, the bonds relax and revert back to their original shape. 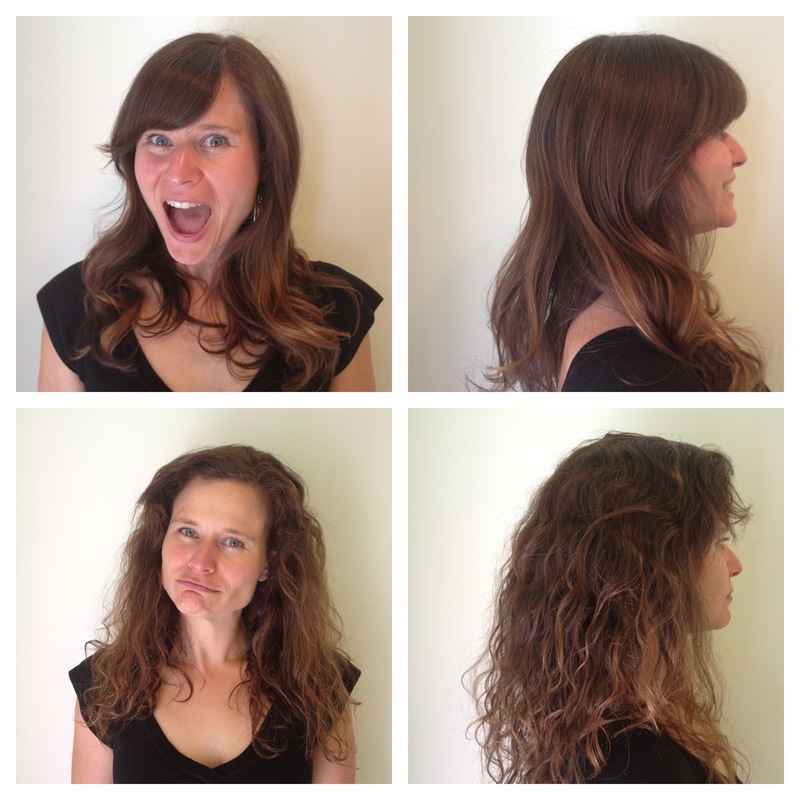 Our curly client Stephanie took the Ultimate Blowout challenge. She received the service and let us check in with her via video testimony to track her progress. Visit the Fix Salon Facebook page to check it out. Stephanie has naturally wavy and ringlet curl. She prefers her hair to have a smooth blown out look. Stephanie loves getting her hair blown out in the salon, but has a hard time recreating the look at home. Sound familiar? During Stephanie’s Ultimate Blowout Challenge she realized that she was able to blowout her own hair more easily getting the same salon results. The treatment was such a success that Stephanie shampooed every third day causing the effects to last for over a month! The Fix Salon Ultimate Blowout starts at $150. Book the the service anytime in the month of May and you’ll receive a complimentary home care kit including Shampoo, Conditioner, and Stay Sleek styler.